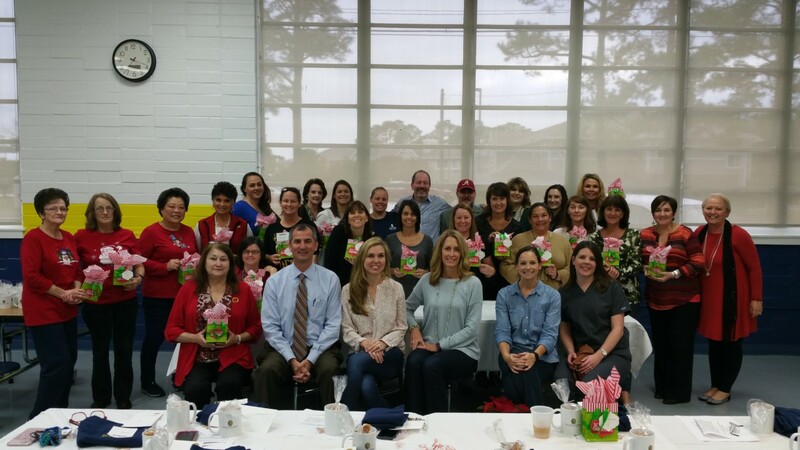 The school board for OLF Elementary held a special Christmas party for the faculty and staff on December 7th. Rob Meyers, President of the school board, thanked the staff for their work and their commitment to providing a high quality education to our students. “We appreciate the impact you’ve made on our children’s lives,” Meyers told the faculty and staff. After the introductory remarks, the teachers and staff were presented with a Christmas bonus and served a holiday meal. The faculty, staff, and school board gather for annual Christmas party.